My name is Grant Bennett. 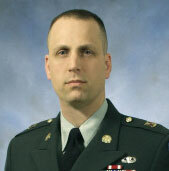 I am a retired U.S. Army Command Sergeant Major with 27+ years of active and reserve service. My last position was CSM for a Regional Support Group in New England. I am currently a Director of Systems Engineering in the area of digital certificates/cryptography for a major financial company. From the time I was born until I was 17, Commerce, TX, was my home. I was saved in a Vacation Bible School at First Baptist Church when I was 6 years old. That night, I prayed and asked God to make me a useful servant. Repeatedly I asked Him to let me know Him more. Without understanding what happened, God honored my prayer and filled me with the Holy Spirit. Then something happened that would change my life forever. Oral Roberts was on TV praying in tongues. I was excited because I had been doing that very same thing and didn’t know what it was called. I asked my Grandmother and she informed me it was of the devil. My world came crashing down. I questioned my salvation and squelched the Holy Spirit whenever I felt the urge to pray in tongues. My relationship with God became distant. I started to wonder if what I had felt was all of my own making. Even though I was nearly a straight-A student through high school, my life devolved into uncertainty and was directionless. At 17, I enlisted in the Army and was off to Infantry, Airborne, and then Special Forces training. After training, I spent time on A-teams in MA and Germany. A parachute accident left me with an injury that made it impossible to stay Airborne. If I had to sit behind a desk, I decided it would be in college, not in the Army. I came home to Commerce and started coursework at East Texas State University. While there, two young ladies and I started a Bible study. I noticed a change in one of them; she was exuberant. She had something I thought I recognized, but couldn’t place. After questioning her for two weeks, I found myself at her church, filled with the Holy Spirit and again praying in tongues. I could never go back to a dry “salvation only” experience again. Within the year, I had felt the call of God to ministry. This was confirmed when I was asked to come on staff as an associate pastor. I served for two years and then pastored a church for nearly three years. While I was pursuing ministry, I was fast tracking through my bachelor’s degree. I graduated and went directly into an MBA program while applying to seminary. In January of 1994, I was hired by Fidelity Investments to be an equities trader and work with customers engaged in electronic trading. By Easter Sunday of 1995, the Lord had made it clear He had another path for me. I stepped down as pastor. Army Reserves and Fidelity Investments became my focus and a venue to influence others for Jesus Christ. The old mantra of “where God guides, He provides” could never be truer. In my 27-year Army career, I saw God move in the lives of young men and women. While moving through the roles of Green Beret, Drill Sergeant, Information Systems Supervisor, First Sergeant and Command Sergeant Major I met young people devoted to our country and its ideals. Most were ignorant of the country’s Christian heritage. I continue to have an opportunity to mentor and encourage the next “Greatest Generation” through social media. Nothing gives me greater pleasure than to see them come to salvation in Christ Jesus and grow in their walk with the Lord. My career at Fidelity likewise was blessed. I have had career opportunities unimaginable in my youth. I moved from electronic trading, to managing a complete application infrastructure and currently manage a team that provides a method of digital cryptography to the entire umbrella of the firm’s various companies. Aside from personal trials and achievements, the thing that has been my most ardent blessing has nothing to do with what “I’ve” done. God has blessed me with a wonderful wife and 4 inspirational children, each with their own personal walk with the Lord. More important than any professional title I can acquire in this life, the titles that are the most important to me are those of husband and father. Throughout my life, God has never forsaken me. His grace and mercy are new each day.